Markets Crash: Does Zero Growth Loom Ahead? The global financial markets have been losing serious momentum for coming up to two weeks but they went into freefall today with the fall of many major indices nearing a 20% decline month-on-month. 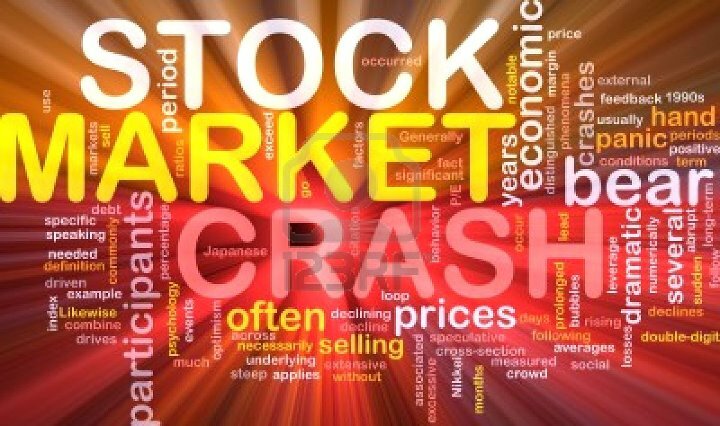 You will recall that we issued our Amber Alert about two weeks ago and our Red Alert last week in regard to the rising likelihood of a financial crash. We are sorry to say that our forecasts were remarkably prescient. Long standing ATCA members will recall that we had issued detailed analyses and warnings in regard to systemic risks associated with global financial markets and world trade before August 2007 and September 2008 as well. What we are experiencing now is a continuation of those financial and world trade crises and not a new phenomenon. Between America, Europe and Asia, there is too much debt and too little growth. US downgrade: a red herring? It is convenient for some to analyse the global markets crash in the context of the US ratings downgrade over the weekend. However, if one examines the entire range of US Treasuries, they surged today and the yields have been falling rather than rising which implies lower rather than higher interest rates in the future. All this suggests that the financial markets shrugged off the implications of a ratings downgrade in regard to US debt. What is really driving the markets at present? 1. Is zero growth sustainable and what happens next? 2. What form does zero growth take? 3. Do we end up with: stagnation, stagflation, recession or depression? The precise outcome of zero growth depends on the scale and duration of this present phase of the global financial crisis. If we get zero growth for one quarter then that is not too much of a problem. If we get zero growth for many quarters, the world economies get sucked into all sorts of complexities in regard to debt management including not just liquidity traps but also solvency traps. In short, we end up with debt becoming an ever tightening noose around most nations' necks causing mass suffering for individuals, institutions and governments. Zero growth corresponds with more debt: as unemployment rises, revenue falls and government spends more to support the unemployed. With the start of The Great Unwind on 9th August 2007 -- exactly four years ago -- every nation had to adapt to the longest and deepest recession since "The Great Depression" of the 1930s. And after the Lehman Brothers crisis erupted in September 2008, the world had to cope with the first protracted contraction in world trade since the 1930s. Even now we have not reached the peak of world trade experienced in August 2008, just before the start of The Great Reset. World trade has yet to return to those elevated levels. How long must we endure zero growth? Is the total quantum of debt as measured against the world's GDP sustainable or does the gravitational pull of total debt pull us back into perpetual contraction? Is contraction to be feared? If we have lived through many decades of rising expectations, what happens in a world of contraction? When we have to live with rising unemployment, falling expectations and increasing scarcity, how can demand for products and services rise? Is this socially or politically digestible after nearly six decades of expansion since the Second World War? 4. Improves the standard of living. Why do we want economic growth in the first place? Economic growth has been the primary mechanism for delivering economic stability since before the industrial revolution and relies on creativity, invention and innovation. This was not always the case: ancient peasants lived, mostly, in a zero growth world. Are we prepared to re-visit the flat-line or dwindling expectations in regard to standards that our ancestors might have had? How to create jobs despite zero growth? If we are left with no choice but zero growth, given that governments no longer have the capacity to borrow more money, and central banks can no longer lower the interest rates or keep printing money -- euphemistically calling it quantitative easing -- to try to stimulate growth, what are the possibilities within a zero growth model for creating jobs? Lower or zero growth with reprioritisation and search for efficiencies and conservation of energy and resources could offer a realistic scenario, particularly for the future of the economy of advanced societies. Given the potential prospect for zero growth with continuing high unemployment, by which criteria should any national economy prioritise its executive actions to create new jobs?